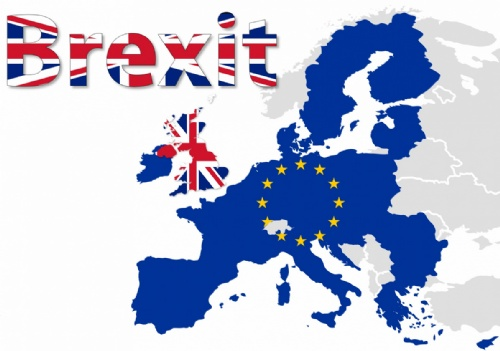 Earlier this week, the UK government published a number of technical notices addressing what would happen in the event of no deal being agreed between the UK and EU before Brexit on 29 March 2019. These included notices dealing with all the main IP issues. The Chequers proposal of 7 July includes the prospect of a “common rulebook” for goods, a facilitated “combined” customs territory and joint jurisdiction, including the possibility of references to the CJEU by UK courts which would pay “due regard” to its decisions. All of that has the potential to be accommodated with the UK remaining part of some sort of harmonised (or nearly harmonised) trade mark, design and geographical indication system covering at least the UK and EU27 countries. This was proposed in the MARQUES position paper of 17 November 2017 and we will continue to press for that. The fact that that the government White Paper of 12 July 2018 for the first time committed the UK, even in a no deal scenario, to establishing a geographical indication scheme shows a willingness to maintain alignment of the respective systems of brand protection. It was notable that this was the only reference to anything trade mark related within the White Paper. That indicates the significant the UK government has given to the issue. This is also welcomed by MARQUES. The new technical notices on IP in the event on no deal, issued on 24 September, include little that has not already been publicly stated. There are still some helpful confirmations but also scope for uncertainty. The paper confirms that EUTMs and RCDs will definitely be protected in the UK as a split-out “comparable” UK right immediately on Brexit. A UKIPO spokesperson had previously been quoted, in July, as saying this protection was contingent on a deal being reached. The UKIPO website had merely expressed this continuity of protection as something the government “aims to ensure”. EUIPO has also published a Brexit Q&A. Now the position is more emphatic. It is irrespective of the EU27’s position on post-Brexit arrangements and it is good to see IP rights are not being used as a negotiating pawn in this respect. However, the same UKIPO spokesperson had also said this protection would be “granted automatically and free of charge”. The fact that it would be free was also first indicated in a government parliamentary statement on 19 July. However, this technical paper is more vague and says it “will be provided with minimal administrative burden”. That appears to be a step back from the position of it being automatic and free, as would be the preference of MARQUES. Anything else risks leaving SMEs and those not professionally represented possibly losing valuable trade mark and design rights in the UK for failing to take whatever “minimal” steps are needed. It is confirmed that, even in a no deal scenario, EU applications pending at Brexit would need to be re-filed as UK applications in order to secure UK protection but, if this is done within nine months of Brexit, the original priority date can be preserved. This is exactly as had been provisionally agreed between the UK and EU27 back in March and reflected in the last version of the draft Withdrawal Agreement. MARQUES had expressed reservations on that proposal then and its position remains that it would be preferable for pending EU applications to be split out into a comparable UK right once any EU objections or oppositions had been concluded at the EUIPO. Again, this would be on an automatic basis. That avoids absolute ground objections and opposition issues pending before the EUIPO being re-argued or re-litigated before the UKIPO. Instead, applicants and opponents alike now face the additional cost of having to deal with such issues all over again, perhaps after having spent considerable time and money dealing with the issues still pending before the EUIPO at the time of Brexit. It also risks opportunists filing new UK applications for some or all of the EUTMs pending at Brexit which do not get re-filed in the UK within the nine-month priority window. It creates a regrettable opportunity for trade mark squatting of brands owned by those perhaps least able and ready to defend themselves, namely those without professional representation. Assuming the need to re-file in the UK, it means applicants may now want to accelerate any pending EUIPO prosecution matters to get their EU applications through before Brexit. Likewise parties to oppositions are likely to be engaging in delaying or acceleration tactics, including the lodging of hopeless appeals, so that applications either are or are not pending on Brexit. However, it needs to be remembered that such tactics will be ineffective if the Withdrawal Agreement is agreed and the 21-month transition period kicks in. The position remains wholly unclear as regards international registrations designating the EU under the Madrid (for trade marks) and Hague (for designs) Conventions. This is something the UK government needs to resolve with WIPO but there is no sign of that having progress yet. The note is effectively an expression of hope in this respect. Likewise we are told vaguely that “provision will be made” regarding litigation pending before the UK courts where the claim is based on an EUTM or RCD. Whilst the notice does not say so, it seems clear the UK comparable right could still be the subject of the court’s order but only for a UK-wide injunction. However, injunctions and compensation covering the EU27 presumably could not be granted by a UK court post-Brexit even if the litigation started pre-Brexit. The notice is silent on and it remains to be resolved whether a UK appeal court can uphold post-Brexit a pan-EU injunction granted pre-Brexit by a UK first instance court. Likewise, we do not know such an injunction would be enforceable in the EU27 and, in reciprocation, whether the UK courts will enforce in the UK a pre-Brexit granted pan-EU injunction issued by an EU27 national court but which was subject to appeal at the time of Brexit. These and many others are points remain to be negotiated. The MARQUES position paper identified the scenarios to consider and it is hoped the respective UK and EU27 positions will be fully clarified as soon as possible. There will be many litigations and actions being contemplated right now where the outcome of those negotiations, or their anticipated outcome, will determine the immediate litigation strategy. MARQUES welcomes the clear statement that the UK will establish a system of “supplementary unregistered design right” which will be comparable to the unregistered Community design right. This addresses future designs and is in addition to ensuring that UCDs valid at Brexit will have a comparable UK right created for the remaining duration of the UCD. Such protection has proved especially helpful for brand owners protecting new designs, including fashion lines and packaging get up. The notice refers to UCDs for EU27 countries in future being valid only if the first publication of the design is in the EU27. It is as if this is a statement of the current law. However, whilst this has been the interpretation of the EU regulation by the German Supreme Court, there have been conflicting decisions around the EU and it remains a point for the CJEU to decide. The notice adopts the same approach in respect of the supplementary UDR and it is stated that this new protection will only arise for designs first published in the UK. The regrettable net result of such an approach is to create an unfair dilemma for designers: either they first publish in the EU27 to benefit from the free pan-EU27-wide UCD or they first publish in the UK only to secure the new supplementary UDR. If that were to apply, it could be impossible for a designer to secure UDR protection in both the UK and the EU27. Ideally a negotiated outcome will allow first publication in either region to secure both types of rights or at least such entitlement when publication is in both regions simultaneously, e.g. online (which may also entail simultaneous publication outside the current EU). The section on correspondence address indicates there will be no immediate requirement to have a UK address added to the UKIPO’s database for each of the UK comparable rights that will be created out of EUTMs and RCDs. MARQUES welcomes this as it ties in the with the need to minimise the administrative at the time of Brexit. It seems likely a UK address will be needed if a step needs to be taken at the UKIPO, e.g. effecting renewal, recordal of a change of name, address or assignment, or defending an invalidity or revocation attack. The notice makes reference to legal professional privilege attaching to communications with UK IP professionals as something derived from UK IP laws. It confirms that such privilege currently extends to professionals in EU27 countries who are qualified to act before the EUIPO and who are advising clients on UKIPO matters. However, nothing is said about whether that privilege will continue post-Brexit and it seems likely the UK government will be seeking to negotiate some reciprocity. MARQUES is generally in favour of minimising disruption for brand owners, including any enforced change of long-standing representatives in either region when this could be avoided. In a previous notice issued on 14 September 2018 and entitled How medicines, medical devices and clinical trials would be regulated if there’s no Brexit deal, it had already been stated that the UK “will unilaterally align to the EU/EEA exhaustion regime from Exit day to provide continuity in the immediate term for businesses and consumers and ensure that parallel imports of goods, such as pharmaceuticals, can continue from the EU/EEA”. That has now been repeated in respect of all branded goods and this is welcomed by MARQUES, although this is only stated to be only for the “immediate term”. It is unclear what may happen in the medium to long term. The notice makes express reference to TRIPS with the implication that this proposal complies with the UK’s obligations under Article 4 (Most-favoured Nation Treatment). Whether it is indeed compliant remains to be seen. It is recognised that this is a unilateral declaration and it is uncertain if IP rights relating to goods first put on the market in the UK will be exhausted within the EEA. Assuming not, then parallel imports from the UK to the EEA could be blocked by holders of EUTMs and national rights in EU27 countries going forward.